Cross of the Dutchman by Triangle Studios B.V.
Cross of the Dutchman is an action adventure game based on the true story of the folk legend 'Pier Gerlofs Donia'. The story takes place in medieval Western Europe, in the province of Frisia, near the turn of the 16th century. Though Pier and his family lived in peace, the world around them was changing for the worse. Saxxon legions were invading nearby villages, making the lives of the native people next to impossible. On one faithful day, Pier got involved with the Saxxon oppressors, escalating the situation for the worse. The events portrayed in this great adventure caused Pier to gather a band of farmers and form a front against the oppressors. The acts that followed made Pier into the legend he is known for, the Cross of the Dutchman. 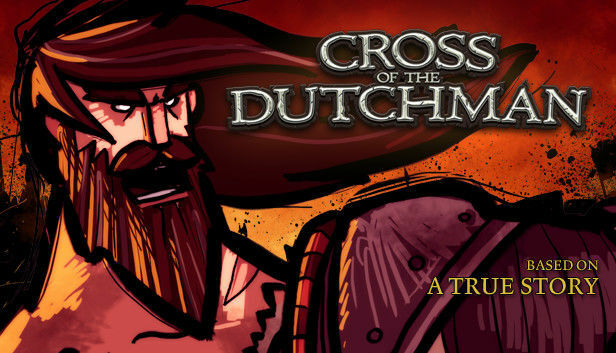 Cross of the Dutchman is available for PC, Mac & Linux. The review-codes are redeemable on Steam. Step 1 / 3 - Please enter your e-mail address to request one or more press copies of Cross of the Dutchman and press the next button to continue.